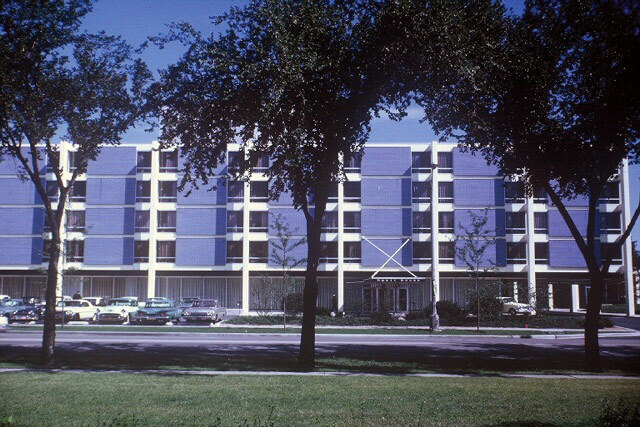 The Digital Research Library of Illinois History Journal™: The History of the Purple Hotel in Lincolnwood, Illinois. 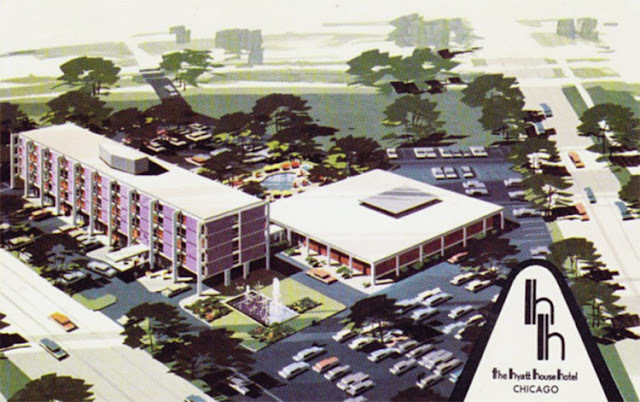 The History of the Purple Hotel in Lincolnwood, Illinois. 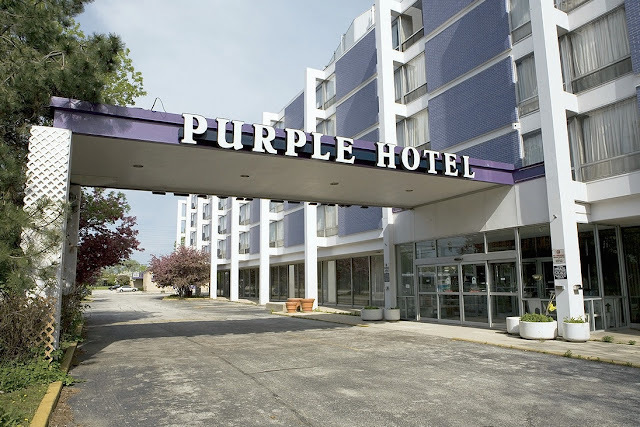 The Purple Hotel, located at the corner of Lincoln and Touhy avenues, has a place in local lore. The hotel was built in 1960 by the Hyatt Corporation and opened to the public in 1961. 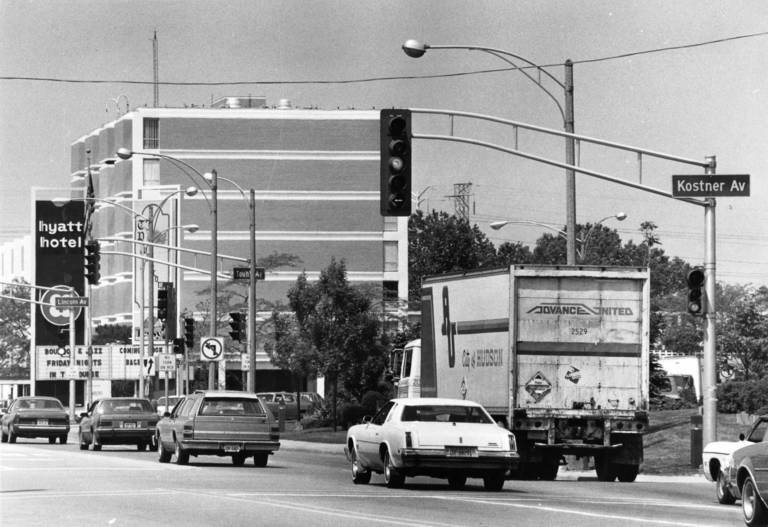 The Hyatt Hotel in Lincolnwood in 1984. 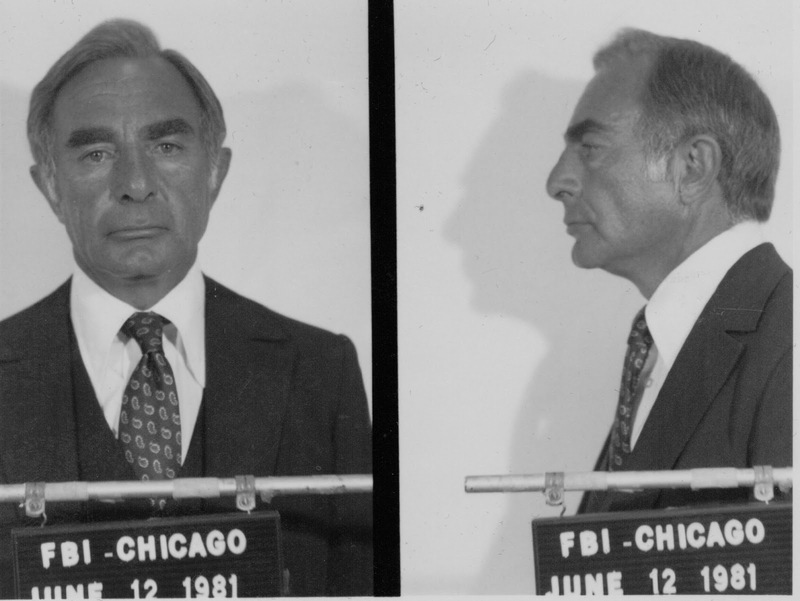 The mobster Allen Dorfman, an insurance agency owner, and a consultant to the International Brotherhood of Teamsters (IBT) Central States Pension Fund who was a close associate of longtime IBT President Jimmy Hoffa and associated with organized crime via the Chicago Outfit was gunned down in the Hyatt House Hotel parking lot in 1983. Mug-Shot by Chicago FBI office of Allen Dorfman. The back story: In 1979, the Federal Bureau of Investigation launched "Operation Pendorf" (for penetration of Allen Dorfman). The FBI installed hidden microphones in the office of Dorfman's insurance agency. As a result of information obtained from the wiretaps, a federal grand jury in Chicago indicted Dorfman and four others in May 1981. Dorfman was subsequently convicted in December 1982, along with Teamsters' president Roy Lee Williams and Chicago Outfit enforcer Joseph Lombardo, of conspiring to bribe Howard Cannon, the Democratic Senator from Nevada. Three days before his sentencing, scheduled for January 23, 1983, Allen Dorfman was murdered in the parking lot of the Hyatt House Hotel in Lincolnwood, Illinois. Described as a gangland-style execution, the murder was presumably intended to keep him from cooperating with authorities and to avoid a possible 55-year prison sentence for Williams and Lombardo. He was with longtime friend Irwin Weiner, a known associate of many Chicago mob figures. Weiner was not injured in the incident. The hotel changed hands numerous times after the infamous crime, first becoming a Radisson, and then a Ramada. But vaguely criminal associations have nonetheless persisted, especially after prominent reports of "wild", "drug-fueled" parties taking place in 2004 in connection with allegations of political fixing. Entrance Sign on Touhy Avenue, Lincolnwood, Illinois. 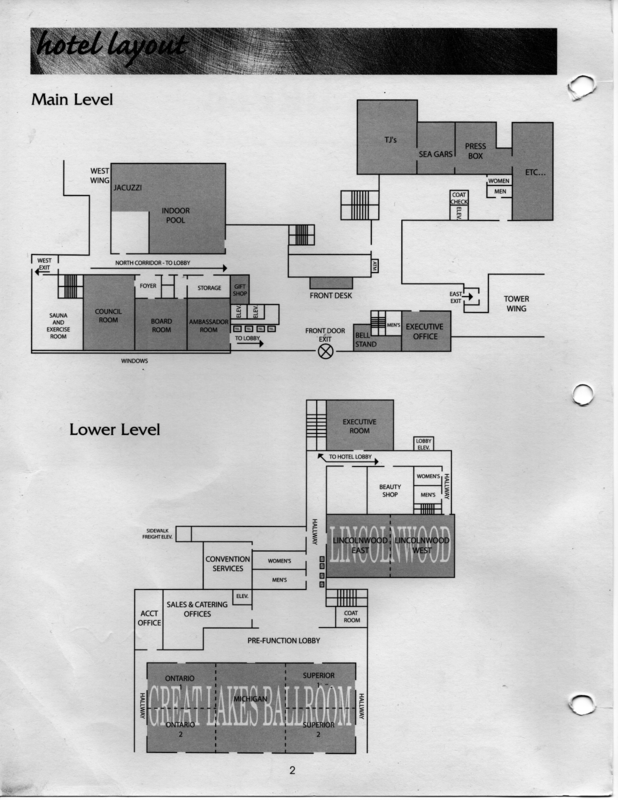 Hotel Main and Lower Level Floor Plan. Since 2004, it had been independent, simply calling itself by the name locals have used for years, the "Purple Hotel." The name came about because of the building's distinctive purple facade, somewhat radical for earth-toned suburbia. In 2006, the Village sued the owners of the Purple Hotel because of health and safety code violations such as mold in guest rooms. 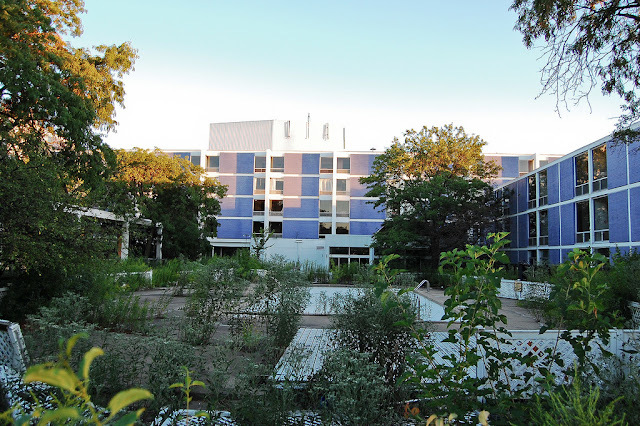 In January 2007, it was announced the hotel was to be closed, with future plans unknown. 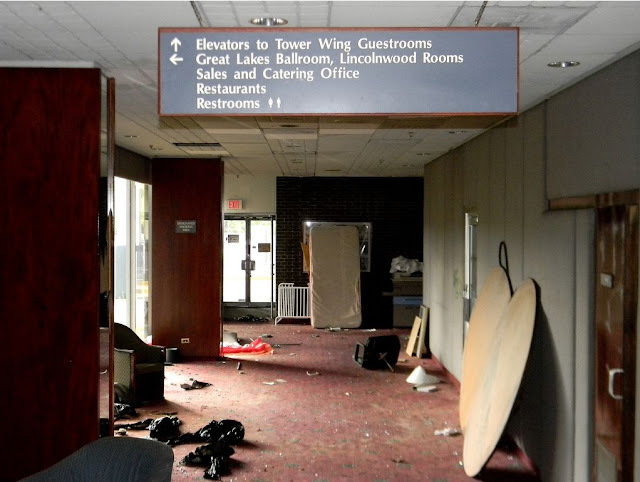 In May 2007, Chicago-based Sertus Capital Partners entered into a conditional contract to purchase the 8-acre hotel property, with plans to demolish the famed hotel and build residential and retail space. 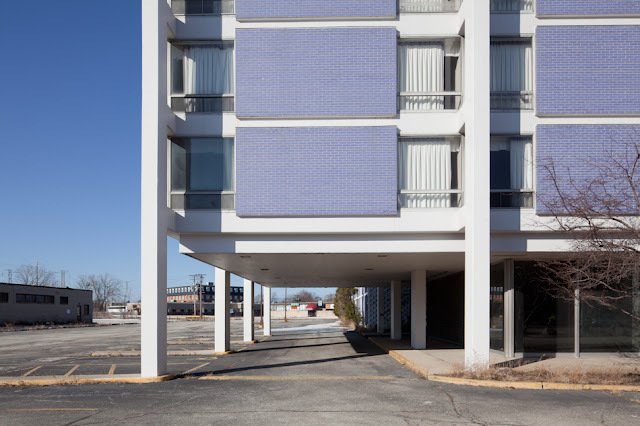 However, Sertus called off its proposed purchase of the Touhy Avenue property from the current owner Donald Bae in August 2007. The plans were scrapped due to the high cost that owners asked for the property and problems with an extended lease of one of the tenants on the property. In 2010, the Village again brought court action to either remedy more than three dozen building code violations, or demolish the building. In February 2011, the Village was granted authority to condemn and demolish the Purple Hotel at the owner's expense. In late 2011, Weiss Properties and North Capital Group bought the hotel's mortgage note with intentions to restore the hotel with additional amenities. North Capital Group purchased the hotel site out of bankruptcy court in the summer of 2012. 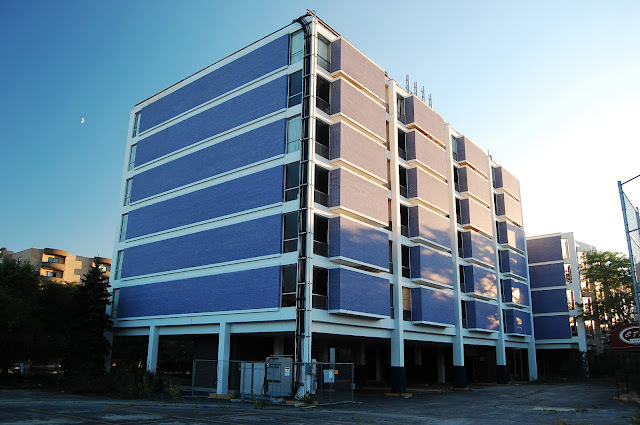 In May of 2013 the Purple Hotel was set for demolition, again. Their first efforts to redevelop the site called for leaving the hotel structure in place and performing a comprehensive renovation of the structure and reopening it as an upscale hotel/banquet facility. 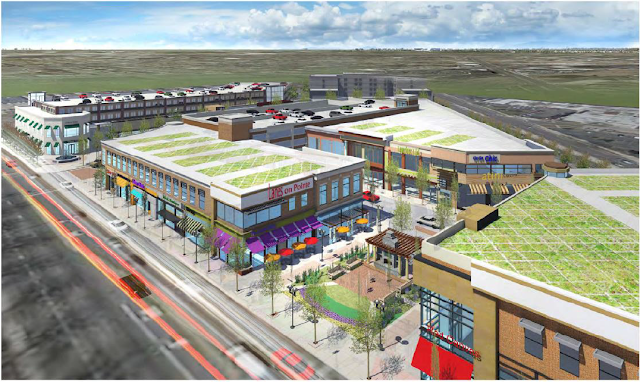 In addition, since the site also includes the former Suits 20/20 building immediately to the west on Touhy Avenue, and the former one-story strip center immediately north on Lincoln Avenue, North Capital was going to add various retail users to the site. 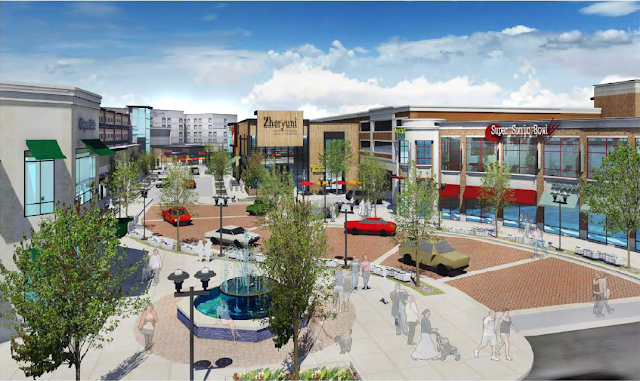 North Capital began the formal development review process with the Village and their plans called for opening the hotel first and then working on the remaining retail uses. After several meetings, North Capital came to the conclusion that the location of the hotel building on the site made development of the rest of the site a challenge and therefore withdrew its application. North Capital went back to the drawing board. Several months later, they appeared at a Village Board meeting and announced that they have completely changed directions. Their plans now call for the hotel building to be demolished and they have purchased the two properties immediately north of the site on Lincoln Avenue to increase the size of the development site. 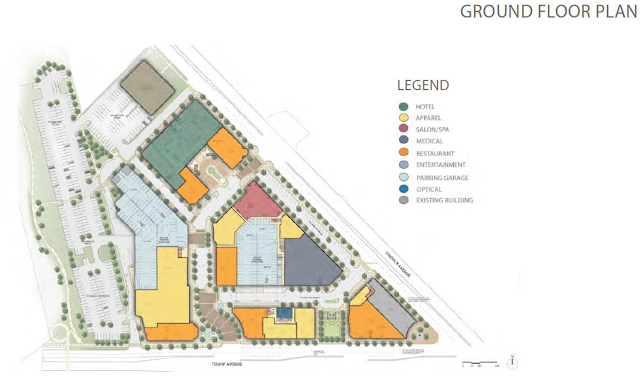 Their plans called for constructing a new hotel building, adding several entertainment destinations, new restaurants, retail space and offices to fill the remainder of the site. "At Lincolnwood Fest 2013 there's is great interest expressed in the bricks and we want to give back to Lincolnwood residents as the hotel did in so many ways," said Neal Stein, Project Lead and Principal with North Capital Group. "The Purple Hotel represents joyous memories for untold numbers of families who celebrated weddings, fundraisers, and other happy occasions. 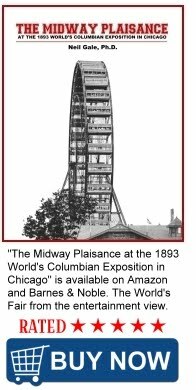 It is only appropriate that we honor the hotel's rich history after five decades serving Lincolnwood and the North Shore." 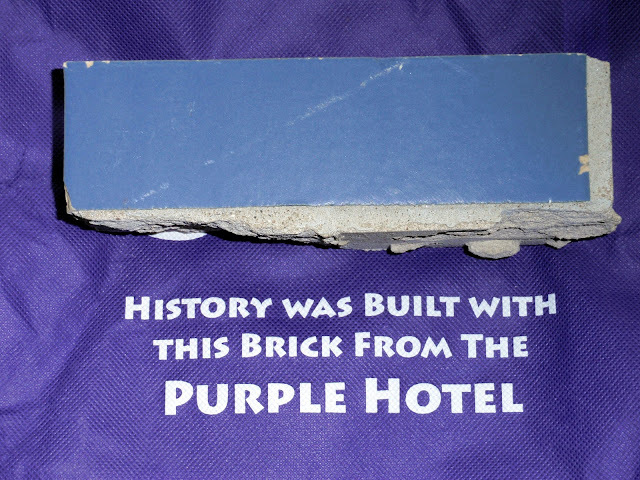 Lincolnwood residents and others who are interested in a sentimental journey can take ownership of an actual brick from the legendary Purple Hotel. Bricks will be offered free of charge, but North Capital Group suggests a $5 donation with proceeds benefiting the Lincolnwood Public Library. 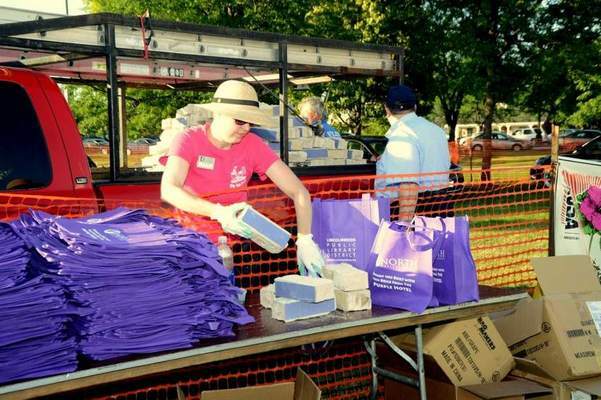 "It's a great honor to commemorate the Purple Hotel's history with the brick donation during our annual festival," said Barbara Faermark, Lincolnwood Fest organizer. 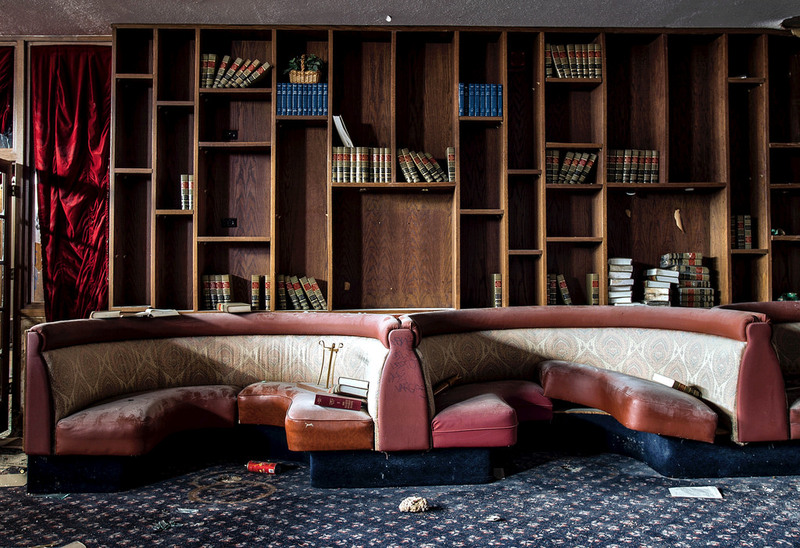 "In its heyday, the hotel was among the top Chicago-area entertainment destinations and family events. We expect a lot of interest in the bricks." 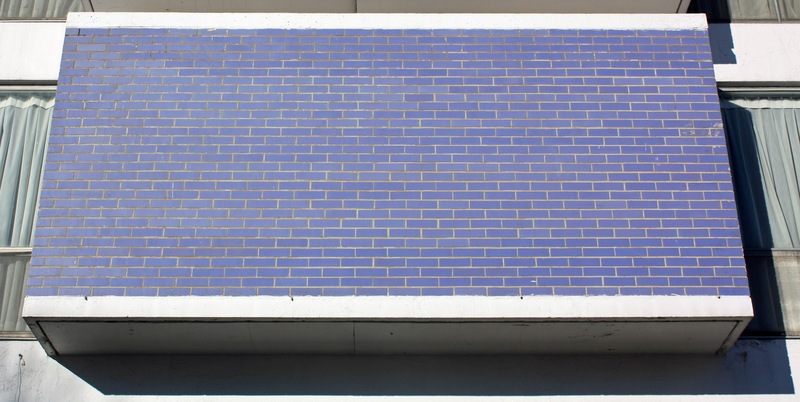 "Each brick will be a historic keepsake of the 20th century popular music and cultural scene. Hold your ear close to one of the purple bricks and you may hear the melodic echoes of Perry Como, Roberta Flack, and Barry Manilow, each of whom performed in the lounge," says Faermark. A Purple Brick in my Personal Collection, with the commemorative fabric bag. 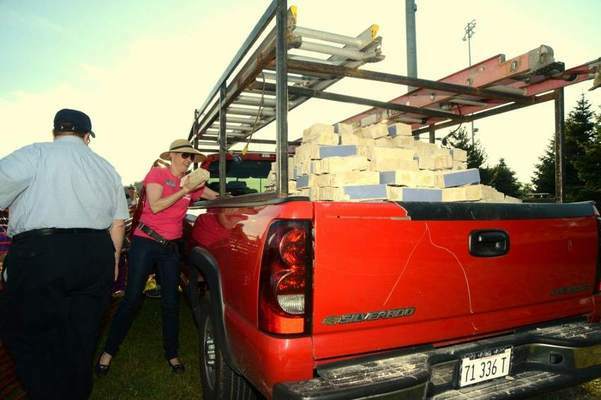 The Purple Hotel brick sale raises nearly $5,000 for the Lincolnwood Library. 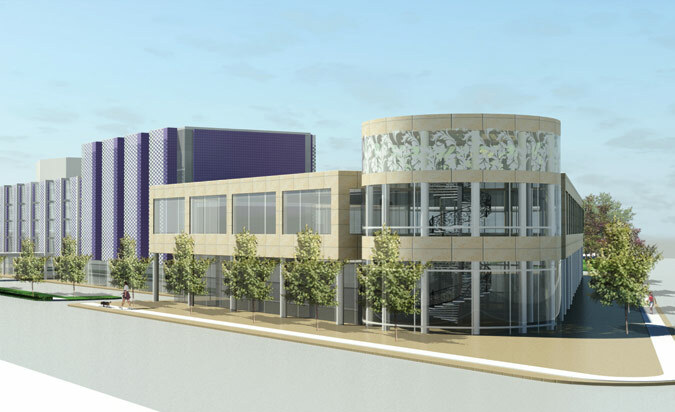 A developer that planned a $135-million mixed-use project on the Purple Hotel site in Lincolnwood has lost the long-vacant property in foreclosure, opening the door for another developer to step in. Romspen Investment, a Toronto-based lender, seized the 8.5-acre tract at Lincoln and Touhy avenues through an October 12, 2017 sheriff's sale, according to Cook County property records. 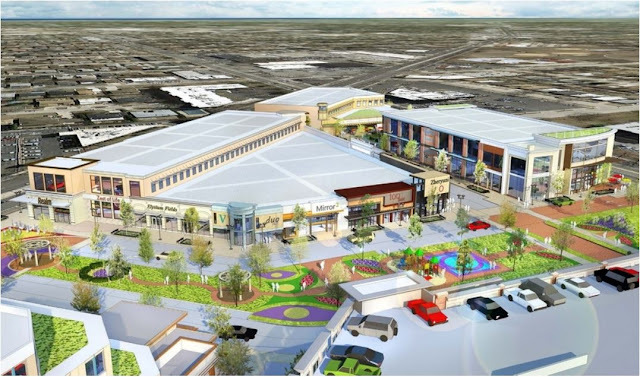 Romspen plans to sell the property as soon as possible and has received several offers already from prominent developers, said Lincolnwood Village Manager Timothy Wiberg. A sale would open a new chapter in a saga that began when the Purple Hotel closed more than a decade ago. 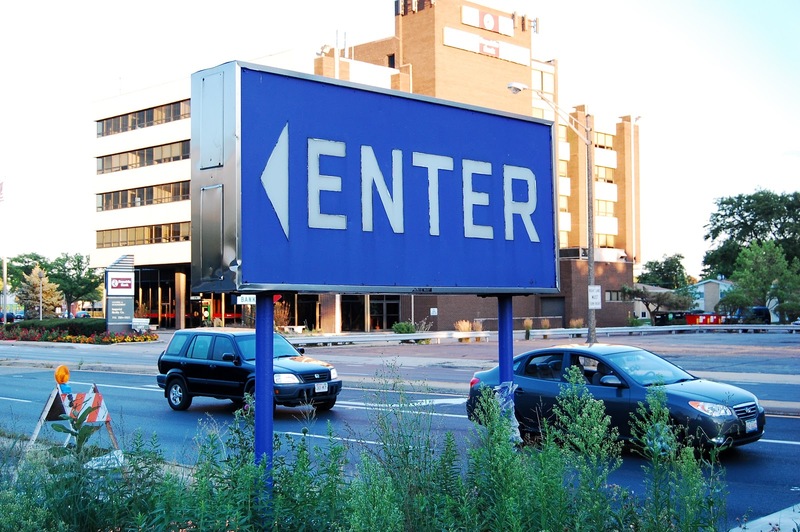 On a busy intersection just east of the Edens Expressway, the property has strong development potential but has been mired in litigation over the years, which stymied efforts to develop it. "There's no higher priority for the village than to see that site developed," he said. "It's an embarrassment, and the town is too nice to have that prominent corner sitting there for as long as it has been." 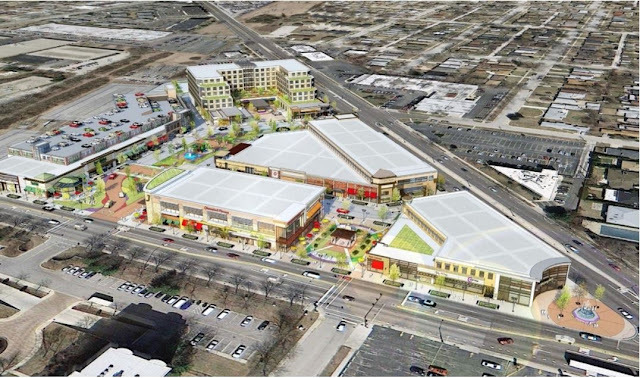 North Capital Group, a Skokie-based developer that bought the property in a 2012 bankruptcy auction, unveiled an ambitious plan more than four years ago for a project that would have included a 210-room hotel, 110 residential units and 114,000 square feet of retail. along Touhy Avenue looking north. But the firm never broke ground and decided to sell the site instead to a Cleveland developer. Then, in January 2016, Romspen filed an $11.5 million foreclosure suit against North Capital, starting the process that led to the sheriff's sale in October of 2017. "Romspen has made it clear to us that they don't intend to hang onto the property any longer than they have to," Wiberg said. "They don't want to own it, and they want to sell it to a developer as quickly as possible." Wiberg said he didn't know which developers are bidding on the Purple Hotel site. But he's not worried about the property sitting on the market. "Over the last five years, I've probably met with 50 developers," he said. "There's no lack of interest." 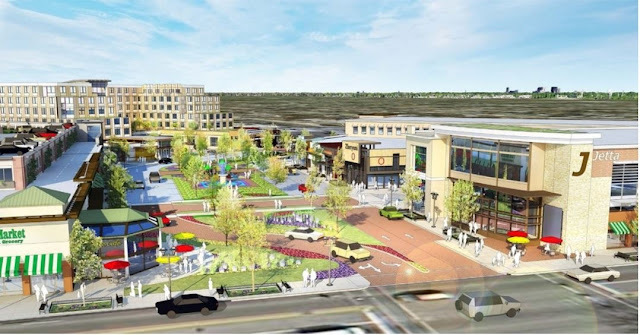 Earlier in 2017, the Lakota Group, a Chicago consulting firm, drafted a conceptual plan for the parcel, a framework to guide developers and village officials as they consider what to build there. 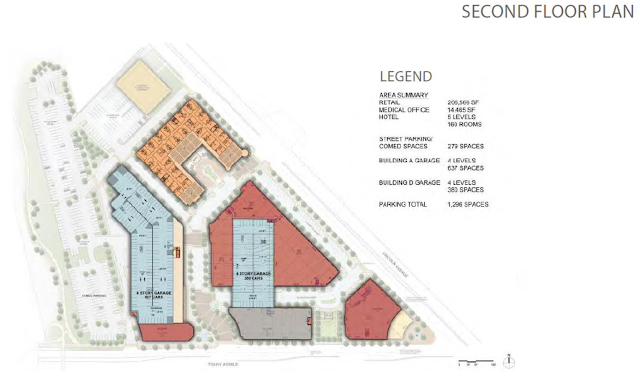 The plan calls for multiple buildings on the site and included a 160 room "SpringHill Suites" by Marriott, as many as 172 residential units and 70,500 square feet of retail space. The Chicago Tribune reports on January 19, 2018, that the Purple Hotel property is up for sale... again! Dr Gale, you do a fantastic job on your subjects. I love your research. Even on topics I think I know a fair amount about, I always learn something new from you. Thank you for all your hard work and research. Keep up the great work. So appreciated! Thank you so much for the kind words, Sheila. You can get email notifications when new articles are posted. Look for the text box at the top left menu. Thank you!-my Dad Loved to be involved in the Historical Society and passed this love on to me! I'm a photographer as well and Love to keep that history alive!- Oh, and btw, we had Prom at the "Purple Hyatt" in 1985- so this history is a bit funny!